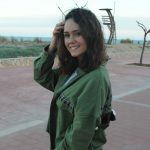 Hi, my name is Társila and I am from Spain. I am currently studying my second year of Business Management at Universidad Autónoma de Madrid. This is going to be my first year at Camp Vega and I will be a choreography counselor in the theater department. I have been dancing and involved in theater since I was a little girl and I love it. I spent my junior year living in Arizona as an exchange student, and I can not wait to come back to the states. I am really excited to meet everyone and have an amazing time with the campers and the staff!! Hi! 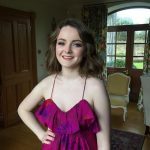 I’m Eavan, I’m a philosophy student at Trinity College in Ireland. I’ve been involved in singing and acting since I was five or six. I’m trained in classical singing, contemporary singing and, musical theatre singing. I’ve been in plays and musicals throughout my life and have been involved with stage productions in pretty much all roles. I’m always up for spontaneous sing-a-longs and dancing to Disney songs!